Attorney Chris Dolan said doctors at the non-profit International Brain Research Foundation have found signs of brain functions after running a series of tests on the girl at Rutgers University last week. 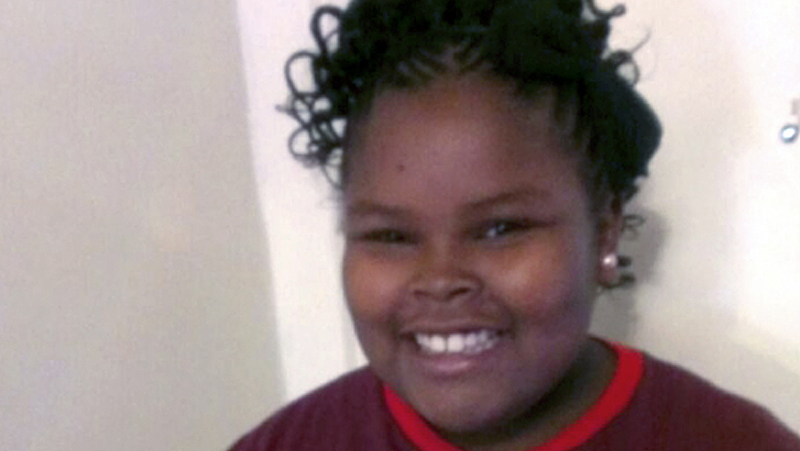 The discovery came months after three doctors, including one appointed by a judge, declared Jahi McMath, 13, brain dead and Alameda County issued a death certificate after her Dec. 9 surgery went awry. Since then, Jahi's mother has pushed for keeping her daughter's organs functioning on life support, first at Children's Hospital in Oakland and later at an undisclosed medical facility in New Jersey. In June, CBS station KPIX 5 reported that McMath was in a Catholic children's hospital in New Brunswick, New Jersey. On Thursday, Dolan showed video clips to a small group of reporters that he says proves Jahi is still alive. One clip shows her twitching her foot after her mother asks her to move it. Another shows hand movement in apparent response to her mother's commands. "There is a consistency to it," said DeFina said. DeFina said an examination of Jahi also revealed that her brain was still intact, rather than "liquefying" as would be expected if a brain-dead body was kept on life-support for many months. Arthur Caplan, head of medical ethics at New York University's Langone Medical Center, said he knows of no cases of a brain death determination being reversed. He cautioned that the data collected on Jahi has to be examined by other researchers and experts in the field before any conclusions can be made. "Were this to be true, it would be an earth-shattering development in understanding death," Caplan said. "They're playing a high-stakes game." Lawyers for the University of California, San Francisco Benioff Children's Hospital said the evidence in Jahi's case still supports the determination that she is legally dead. "This is a sad situation where the court made the correct determination that Jahi McMath was dead," hospital attorney Douglas Strauss stated in court papers. "There is no factual basis or legal justification for requiring those involved to endure re-litigation of that properly reached determination." The two sides reached an agreement allowing Jahi to be transferred if her mother assumed responsibility for further complications. She was removed from Children's Hospital on Jan. 5, less than two days before an injunction that would have allowed the hospital to remove the equipment.